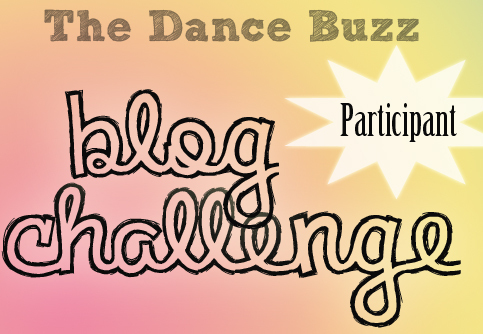 It’s that time again… time for another Dance Blog Challenge! If you want to read more about why I’m doing this, read this post. Then come back and join the fun! This month’s blog challenge is “Day In The Life” post. Take one of your busiest dance days, bring your camera (or camera phone) and take lots of pictures from the moment you wake up until you return to bed. Or if you’re an overachiever, make a video! This month’s challenge is a bit more involved than last month’s, but that’s what makes it fun. I will try to vary the ‘involvement’ of each post so if you’re not feeling quite up to the challenge this month, do an easier one like January’s photo challenge or wait to see what March brings. Post your photos or video (with or without narration… its up to you) on your blog and leave a comment with the link here! I can’t wait to see what everyone’s studios and dance lives look like! And if you’re not actively taking or teaching classes, you can participate too… I want to see what you do in your job or school everyday. And snap a quick picture of an arabesque in the hallway while you’re at it… the point is to have fun! Think your life is boring or need ideas of what to document? Keep reading after the jump for ideas. This is a fabulous, fun idea! Count me in!